- Includes 2 heavy duty drawstring wash bags and can wash at least 165 loads. - 100% natural, no artificial scents or toxic chemicals. Soap berries, better known as soap nuts, are an amazing alternative to toxic and chemical filled standard household detergents. Soap nuts are actually a berry that grows on trees. The best soap nuts in the world grow in the foothills of the Himalayan Mountains in Northern India and Nepal. The best species of soap nuts are the Sapindus Mukorossi. Sapindus Mukorossi soap nuts are the largest and contain the highest saponin content of all soap nuts species. Saponin is the natural surfactant that does the cleaning. Always buy deseeded soap nuts as whole soap nuts are a scam because the large black seed in the middle of the soap nut is very heavy and is worthless as far as washing goes and just adds a lot of weight. Don't pay for worthless seeds. When compared to the store shelf laundry detergents, which can leave harmful residues on your clothing and that are not environmentally friendly, they are more economical and gentle on your skin and hair. They also act as a two-in-one cleaner and natural softener. They’re the perfect substitute for toxic cleaners that can contribute to skin and scalp allergies. And can cause a host of diseases including cancer as they contain hundreds of toxic chemicals including known human carcinogens. Even better, they give you more bang for the buck with a lot more loads for a lot less money. No added fabric softener needed. Save A lot of Money Compared to Using Tide Etc. Our Soap Nuts cost less than half of what Tide and other toxic chemical detergents cost. Think about that. You're paying a premium for a product that can make you very sick or even kill you or your loved ones. Dump the toxic detergents and buy some soap nuts right now. We don't offer a 90 day money back guarantee because we like giving refunds. We do it because we know once you try our soap nuts you will buy more. Why Choose Green Virgin Products? There’s a reason that our Soap Nuts Deseeded 500 gram bags have become so popular: because they work. They deliver a reliable and effective clean without any toxic chemicals. 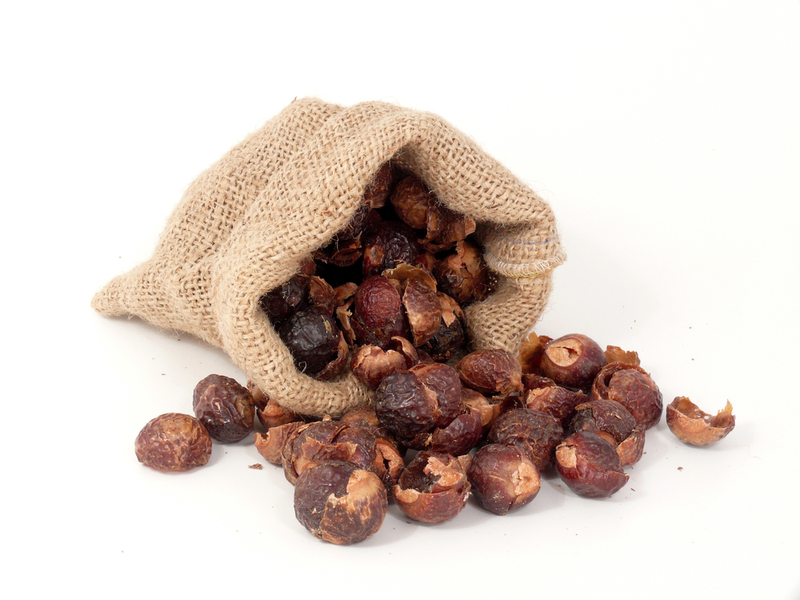 Soap Nuts are actually berries that develop a hard shell (hence the nickname) when they dry. They have a natural cleaner called saponin in that shell that works as well as name brand laundry detergents without the toxins or carcinogens. The best part of about Soap Nuts Deseeded is how simple they are to use. Take just 3-5 soap nuts deseeded and put them into a drawstring wash bag (2 are included in the 500 gram bag). Seal the bag and throw it in the washing machine with your next load of laundry. That’s it! They work great with the new high-efficiency machines or the old top loaders. Your clothes and laundry will smell great and feel like new. We only offer the highest-quality, Sapindus Mukorossi Soap Nuts. Anything else will not deliver the same cleaning power. Many sellers online will try to pass off lower-quality options, like Soap Berries Full or Whole, as the same quality. This simply means they left the seeds in. The only problem is the seeds have no saponin, which provides the cleaning power, so they are just dead weight. Other sellers will try to exaggerate the number of wash loads you can use your wash berries. Do not be fooled by these unsavory sellers. We offer the most potent and finest Soap Nuts found anywhere. At Green Virgin Products, we want it to be as easy as possible for you to experience the cleaning power of our pure Soap Nuts Deseeded so we always offer free shipping on orders over $50 and we always have a hassle-free return policy if you are not satisfied within 90 days. Do yourself and your family a huge favor and get rid of a common source of toxic chemicals and carcinogens in your home with the best all-natural laundry detergent and cleaner.